The Green Bay Packers do not play this week, getting an early bye in the 2016 season. Let’s take a look at how well the team has played prior to and after the bye week during the Mike McCarthy era, starting in 2006. Following are three stats from the past 10 seasons (2006-15). 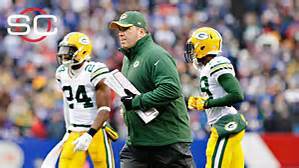 The game after the bye week The Pack has played very well in the game after the bye week during McCarthy’s time as head coach. They are 8-2 (.800 winning percentage) in games after the bye since 2006. They lost in 2008 and last season. The three games prior to the bye and the three games after the bye The Packers have identical 21-9 records (.700 winning percentage) in the three games prior to the bye week and the three games after the bye week. Last season was a rarity during the McCarthy era as the team was 3-0 in the three games prior to the bye week and then went 0-3 in the three games following the bye. All games prior to the bye week and all games after the bye week The Packers had a 104-55-1 record (.653 winning percentage) in the 10 seasons from 2006-15. Prior to running the numbers, I would’ve thought that the Packers had a better record after the bye week than before it in the past 10 seasons… I was wrong! Green Bay was 61-34-1 (.641 winning percentage) in all games after the bye week in the past 10 seasons and 43-21 (.672 winning percentage) in all games prior to the bye week. They have, however, done better after the bye week in the past five seasons going 31-15-1 (.670 winning percentage) in games after the bye week in the past five seasons. One final stat Green Bay has had a pretty decent record in games after the bye week (17-10 since the bye week format started in 1990). But when they get their bye week during the season is another story; if the Packers have their bye week in Week #3-Week #7, the team is 8-8 in the game after the bye. If they have their bye week in Week #8-Week #10, the Packers are 9-2 in the game following the bye.